The key to success in stock trading lies in mentorship. As a strong provider in continuous learning and mentorship programs, we have designed two phases for our graduates. Upon completion of the 4-day training program, you will begin the second phase of your trading journey. This phase will contain premium education and support events to guide you in becoming a consistent and profitable trader. 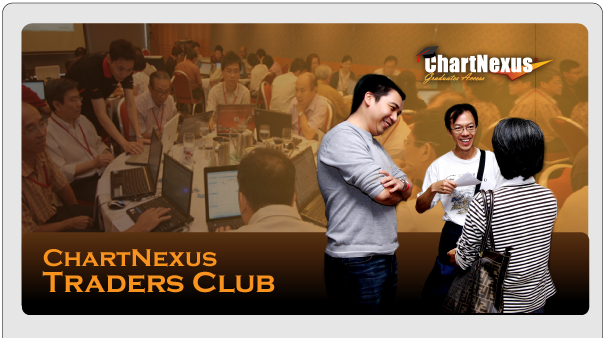 At ChartNexus traders club, you will not only draw from the experience and expertise of the trainer, you will also be sharing deep insights and analysis with fellow ChartNexus graduates, who are also your best trading buddies. Sector analysis - Find out the Sector-in-play! Hottest stock-in-play - Stocks with the best E.S.P!